Novo Coffee Machine Perfect for sites without access to a mains water connection, the immensely popular manual fill Bravilor Novo Filter Coffee Machine offers attractive, powerful front-of-house filter coffee making alongside two convenient self-regulating coffee hotplates located on the top and base of the unit. 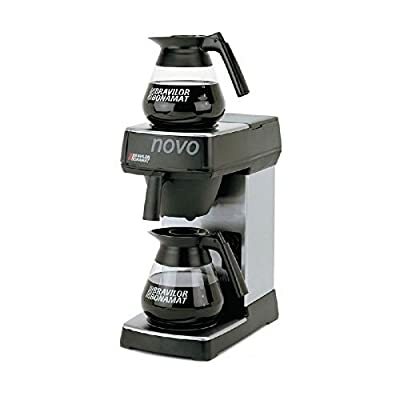 Also suitable for mobile or event catering, the Novo makes high quality coffee quickly - and can fill a 1.7 litre jug within 5 minutes. Supplied with two robust Bravilor coffee jugs and a filter paper starter pack as standard.